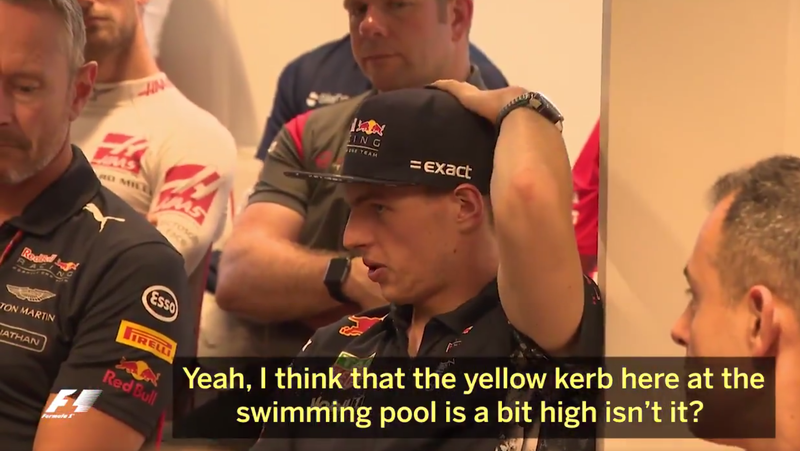 Formula One has released a video of the driver briefing from the Monaco Grand Prix, and for the first time in decades we get to see everything the drivers have to whine about. The chatter starts out with clarification of a penalty from the Spanish Grand Prix, and then moves into a debate over the height of a yellow kerb that Max Verstappen seems very concerned about. The driver briefing has never been widely publicized, at least until now, and let’s hope Formula One keeps this up. It’s a ton of fun to get a behind-the-scenes look at the relationships the drivers have with each other and it’s interesting to see what they have concerns about and the questions they ask going into a race.